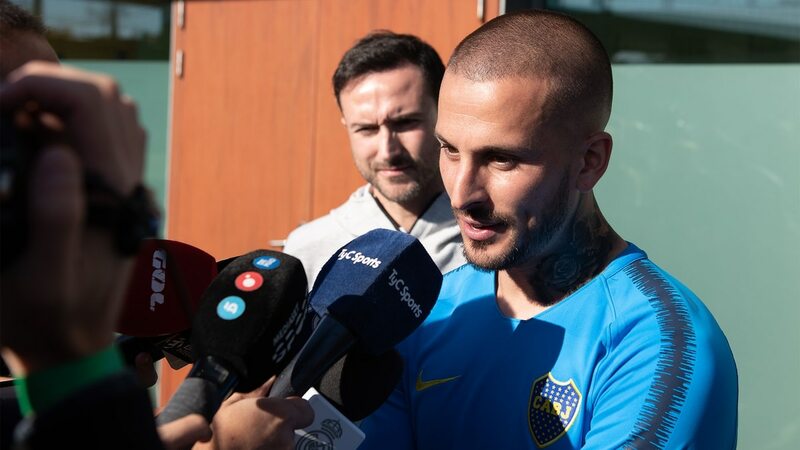 Home / argentina / Darío Benedetto: "Welcome to Rafael Di Zeo to Spain, he is the historic leader of the bar"
Darío Benedetto: "Welcome to Rafael Di Zeo to Spain, he is the historic leader of the bar"
After moving with the rest of their teammates at the Spanish Football Federation in what was the first practice of Boca in Madrid, Dario Benedetto referred to the Superfinal against the Copa Libertadores River. Preparations, violent acts that were recorded in Monumental, his dreams and xeneizes fans' enthusiasm were the topics addressed forward xeneizeBut, without doubt, the phrase that caused the most noise was Rafael Di Ze, who did not go to Spain to witness the expected duel. · "(Rafael Di Zeo) is a fan, and if they can qualify, it will be something for us because he is the historic leader of the bar." · "We are ready for what is coming, I personally feel good, I physically feel good, I think the victory against Independiente left out what happened in the week"
· "We have come with a lot of energy, it is important for the family to be present because it is the one that supports our headaches, bad moods, bankruptcy and happiness, it is the privilege"
· "I have a dream I should achieve in this game"
· "My old lady is a person who always supports me from anywhere, wherever she is, is my pillar, all the goals I do are dedicated to her and hopefully he will continue with me as always"
"We wanted to play the river on the river, it was a lot to talk about, the most beautiful thing about Argentine football is the Boca River and it was sent to all the fans, those from the river were damaged by some disordered who did what they did, Boca players had the opportunity to celebrate in their yard "
· "What happened was more than clear that we were always there to play the game, whether on Monumental or anywhere"
· "There is no advantage for any of them, it will play to death like any final"
· "It is a privilege to play in Bernabeu, for every player, I hope we will give pleasure to people who come from Buenos Aires and spend their lives and wages to be here"
· "It is always important that there are people from Boca, because we feel everywhere, full field, two banderazos … We continue to show that we are the biggest"